As most of you know, I just had a baby and it is super popular to take "as they grow" pictures. Some people will take them with a sticker on a onesie that says "one month" or "two months". I like the idea but the sticker-ed onesie wasn't really my thing... So I came up with this! 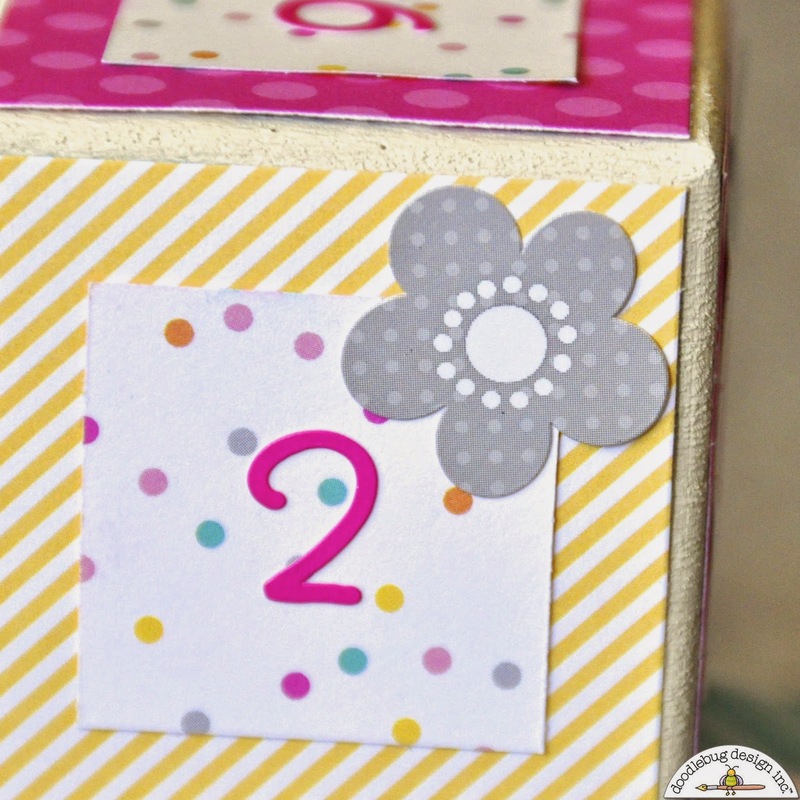 I dressed up the blocks with some stickers, but I didn't want to take the focus off the numbers. I also put the two flower doily tiles one the sides. There are actually four blocks to get all of the numbers represented and to do double digits. 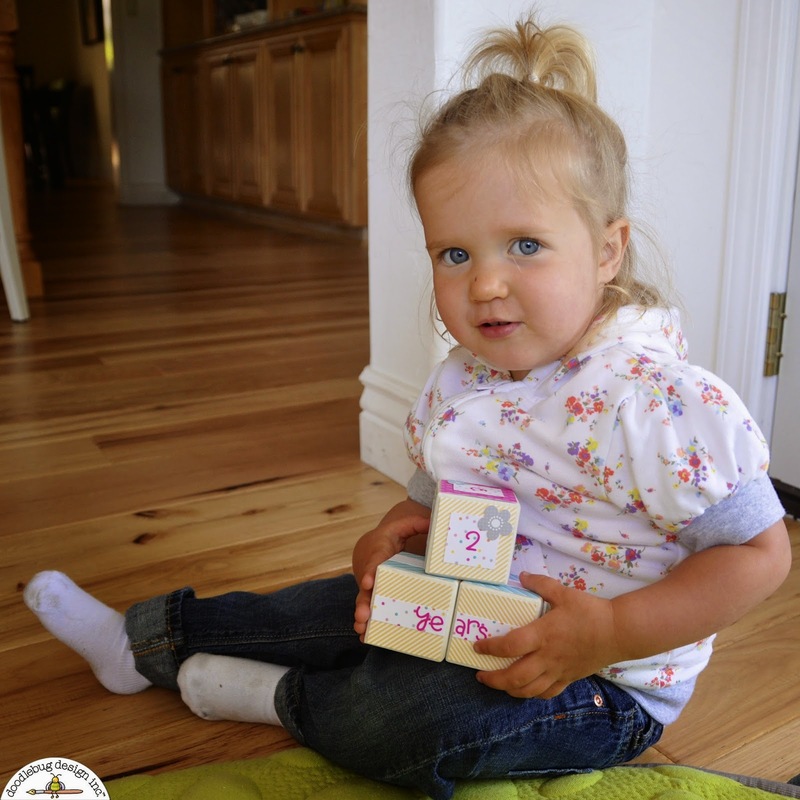 awww such a sweet set of blocks! Adorable pictures! The possibilities with this collection are endless!!! 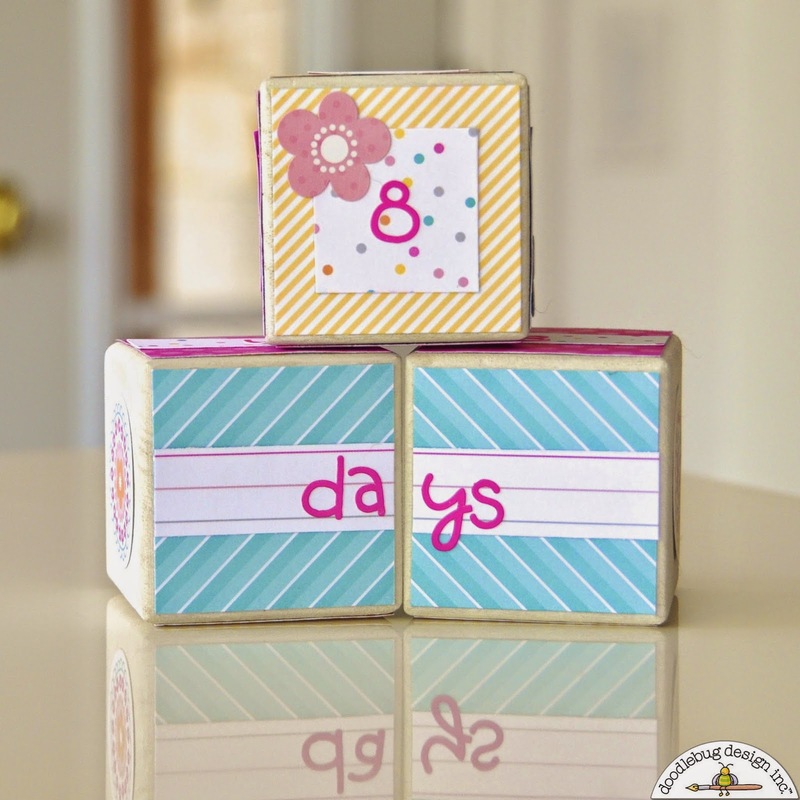 These blocks are SO CLEVER and SO PRETTY, such pretty colours and sweet alpha stickers, love the font!!! THANK YOU for sharing your AWESOME INSPIRATION Courtney!!! I totally love this idea!!! Definitely pinning!!! 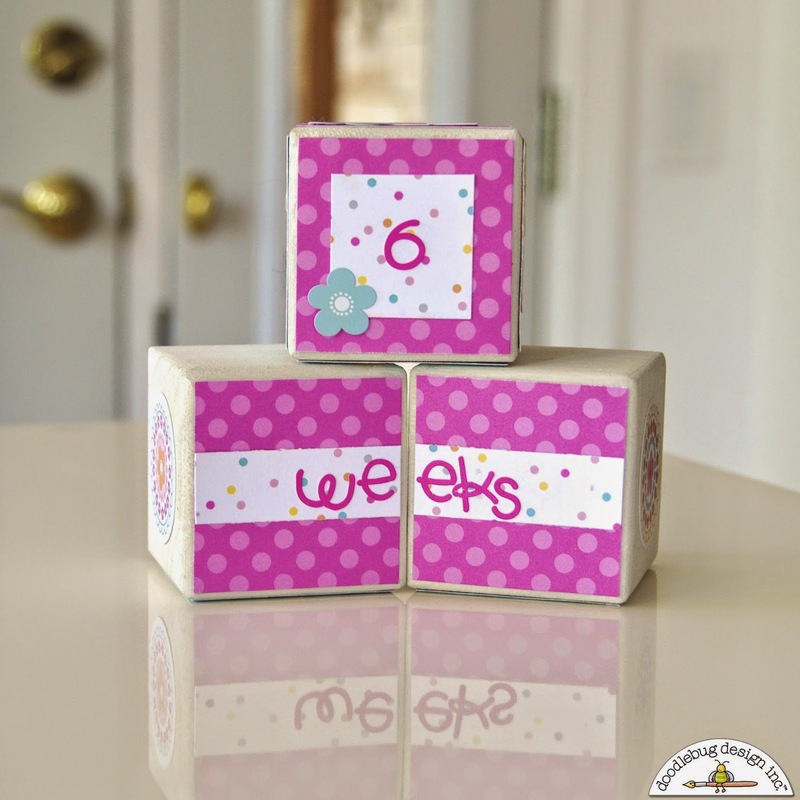 Some great ideas here for newborn baby gifts. Anything DIY is great as people know so much thought goes into it! What a cute idea! These pictures will be wonderful memories many years from now! 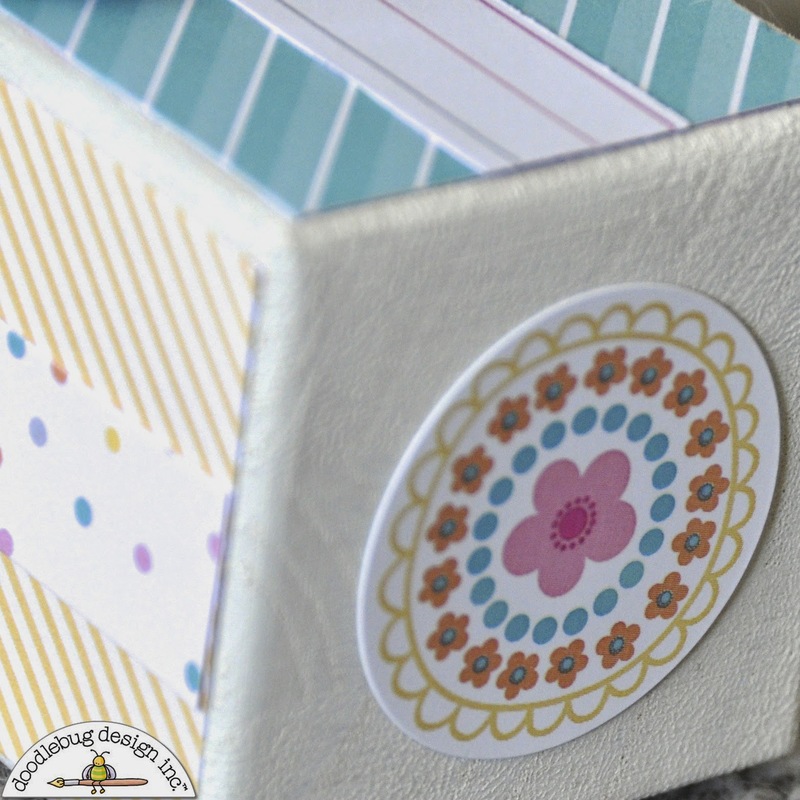 I pinned this cute idea!